If you have always wanted to be involved in a community lead project or have a passion for sustainability and supporting locally grown, the Coffs Regional Community Garden is inviting you to have your say. The Annual General Meeting will be held at 10.00am on Sunday the 21st August, inside the Combine Street Community Garden. A new Committee that will lead the Garden’s plans and projects for the year will be elected. All community members are invited to come and meet this energetic dedicated group of volunteers. Be a part of growing and connecting gardens and communities in Coffs Harbour. We are having a Community garden tour as part of the Coffs Ambassadors program, this Sunday 1st May from 10am. For locals and visitors alike, interested or curious about the Coffs Regional Community Garden, come and discover the many unusual plants that can grow in the Coffs Harbour region. Come down with the family and kids and meet the resident rabbit, guinea pigs, quails, chickens and ducks. Relax and find out about the different ways to garden sustainably with a detailed tour of our aquaponic system, banana circle, food forest, mandala garden, communal garden plots, woodfire oven and the different arrays of plants and fruit trees that are thriving in our community garden. To join this free tour, register on the Coffs Ambassador website. In this workshop we will discuss how to assess your soil health in relation to growing healthier plants. We will look soil analysis, existing plant indicators, the soil biome, pH of soil and its implications and adjustments. We will also discuss the importance of organic matter, mulch, composts, natural fertilizers, worms, fungal relationships, legumes and liquid fertilizers. 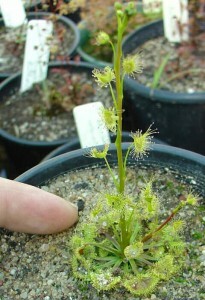 Come and learn about the different types of carnivorous plants you can easily grow in the region. We will discuss their similarities and differences, appropriate growing conditions required and their effectiveness in controlling insect populations. Discover some of the local species of carnivorous plants on the day and where you can view them in nature.There will also be plenty of time for questions on the day. Come along to learn how “green cleaning” can save you time and money, free up space in your cupboards, and make your home a healthier place. A few safe, inexpensive ingredients will take care of most jobs. There will be time for questions and discussion, we’ll try to solve your cleaning problems, and look at where you can obtain reliable information. Refreshments are provided at the end..